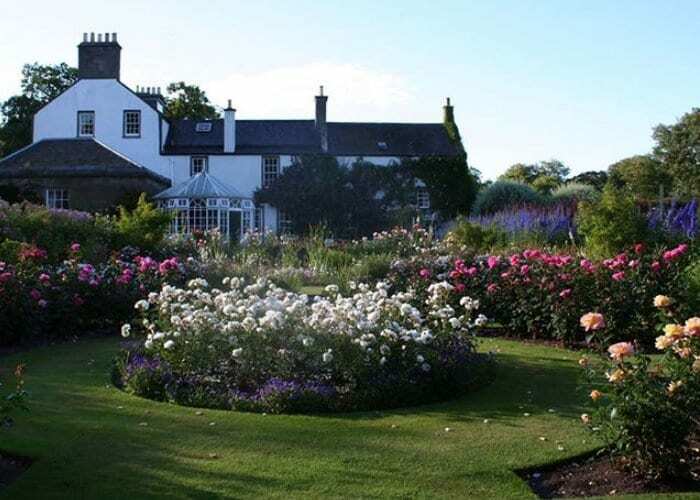 Two renowned semi-formal walled gardens adjoin an 18th-century house and steading and shelter long borders of herbaceous perennials, superb old-fashioned delphiniums and roses, together with pavings rich with violas and dianthus. An extensive and diverse collection of plants, interesting kitchen garden, spacious lawns, river and lochside walks beneath fine trees. A wide variety of shrubs with good autumn colour and a picturesque turreted doo’cot and a ‘Gothick’ wash house. Myriad spring bulbs include carpets of crocus following massed snowdrops and daffodils. Directions: From Forfar take A932 east for seven miles and gardens are signposted on the right. From Brechin take A933 south to Friockheim and turn right onto A932; then gardens are signposted on the left after one-and-a-half miles. Telephone 01241 828245 or visit the website.